I am in love with Jessica Day, and I know I’m not alone. Jess and her New Girl squad take up way too much room on my DVR, mostly because they’ve made it look normal – and even a little bit cool – to be 30 years old, live with your best friends, and partake in ridiculous drinking games on the reg (True American meet-up, anyone?). Maybe you didn’t realize it, but while they were making you feel a little bit better about where you’re at in life, the loft crew was also dropping life lessons. Jess Day and company have been teaching us lessons in young professionalism ever since she replied to that awkwardly worded want-ad on Craigslist. Jess Day is the queen of knowing who she is and sticking to it. While I wouldn’t necessarily recommend adopting Jess’s eccentricities in the workplace, there’s definitely a lesson for young professionals here. As cliché as it might sound, authenticity really is the root of all personal happiness – that notion certainly carries over to your professional life. It’s impossible to feel good about going to work every day if you have to completely change who you are when you get there. If you’ve ever worked for an organization whose values and beliefs don’t jive with your own, you know how miserable it can be. Whenever you’re exploring a new professional opportunity, be sure you’re weighing the personal fit into your decision-making process as much as the professional fit. Sure, the compensation package might be great and the benefits might be stellar, but if accepting those perks means having to act like someone you’re not for 40+ hours a week, is it really worth it? Yeah, yeah, yeah – I know she’s a fictional character and there’s no way she could actually live the life she lives off a public educator’s salary in real-life. I know prioritizing passion over a paycheck is easier said than done. Turning down an opportunity becomes exponentially more difficult as the dollar value soars, even if you know in your gut it’s not the right fit. But hear me out. Yes, you need to make enough money to live comfortably. And yes, having a little money left over after you cover the essentials is nice when you need a spur-of-the-moment vacation or a brand-new LuLu Lemon wardrobe that suits your new yoga obsession (<--hypothetical, of course). But at some point, more money does not equal more happiness. Pouring your professional energy into something you’re truly passionate about, on the other hand? Those returns are not diminishing. Not only is she a public school teacher, Jess Day is also a perpetual learner. Carpentry, cooking, hand-belling, Elvis-impersonating – you name it, she has learned to do it. We could all stand to be a bit more like Jess in this regard. Taking it upon yourself to learn and apply new skills is the best shot you have at making yourself completely indispensable to your employer. Learning new things doesn’t have to mean pursuing formal educational opportunities. Be the team member who’s willing to take on new challenges and try new things. Be the team member who’s willing to think differently and bring new ideas to the table. Be the team member who’s honestly committed to constantly learning, and I can almost guarantee you’ll be the team member best positioned for the the next promotion opportunity that comes around. All jokes and New Girl references aside, elevating young professionals in the Madison area is something we take really seriously at Magnet. If you’re ready to join Madison’s premiere young professional networking organization, become a Magnet member today! By: Elizabeth Purcell 1. CURDS: Eat ‘em, scarf ‘em, bite ‘em, chow ‘em. It’s not a secret that Wisconsin is known for dairy, and more specifically cheese! Well…what’s better than cheese…duh…fried cheese! Upon moving to Madison, you definitely need to try the city’s selection of curds. They’re gooey, their, they’re crunchy and just plain sinful. 2. Devils Lake Us Madisonians like to get out into the fresh air and get some exercise once in a while (We gotta burn off those cheese curds somehow!). A great camping and hiking spot is Devils Lake. Only a short drive from downtown, it’s a great place for a day trip to hike, swim and cookout. Insider Tip – the park can get quite crowded in the summer months, for a more tranquil experience check it out in early spring or fall! 3. Farmers’ Market A quintessential Saturday morning in Madison is spent strolling around the Capitol square procuring some of the city’s freshest produce and baked goods. One of the most popular stops at this seasonal Farmers’ Market along the way is Stella’s, known for the delectably famous Spicy Cheesy Bread; a loaf of warm, gooey heaven. Definitely a MUST! Madison is home to one of the most exciting and impressive sporting events; IRONMAN. While participating isn’t for the faint of heart, it’s an impressive and inspiring event to watch. Athletes from around the world flock to the city to put their physical and mental strength to the test. Insider Tip: The start (swim) is one of the most exhilarating parts to witness. Many triathlons have staggered starts, where different age groups start at different times. Well the Madison Ironman is a mass start – that means thousands of athletes begin the race at once. This makes for a pretty crazy scene in the lake! 5. State Capitol Can’t live in the state’s capital city without a visit to the Capitol building! Not only is it a gorgeous building but a trek up to the top floor promises great views of the city. It’s also the only Capitol building to be built on an isthmus! Check out their website for more information on scheduling a tour! 6. Terrace Well you’ve may have noticed by now that there is no shortage of beer in this city! One of the most popular spots to enjoy a cold one is at the Terrace! Known for their iconic colored chairs and tables, the Terrace is a wonderful spot to catch up with friends, listen to some music and watch the sailboats float across the lake. Insider Tip: The Terrace is currently closed for a ‘facelift’ but should be back in service by the end of May! 7. Go Badgers Living in a Big 10 college town definitely has its perks. Football season is just one of them! Not only will it make you feel like a (college) kid again, but the sense of community and camaraderie on game day is truly unique! And here in Wisconsin, we sure take our tailgating seriously! When kickoff is at 11am it’s just an excuse to have a brat and a beer for breakfast, but hey there’s nothing wrong with that! 8. Olbrich Botanical Gardens Honestly, I’ve only been here once in the 8 years I’ve lived in #MadTown. But in the long winter month’s it’s a great way to escape the cold and pretend you’re in a tropical paradise. 9. Concerts on the Square Starting in July, the Madison Chamber Orchestra hosts concerts on the Capitol lawn. Be sure to get there early and save your picnic spot with a blanket – and don’t forget the wine and cheese! 10. Brewery Tours Well…are you sensing a theme here?! Here in Madison and the surrounding area there is no shortage of micro-breweries to check out. Whether you are into hoppy beers, dark beers, fruity beers, wheat beers…you are sure to find cold pint to quench your thirst. Whether you’re a young entrepreneur launching your first business, an experienced professional working at a large multi-faceted organization, or a student who hasn’t quite stepped out into the working world, one thing holds true: building successful relationships will be the key to your future success. Have you ever wondered, “Why should I network?” Or “What’s the point?” Here are five reasons building lasting relationships is critical to your success. What Are You Giving Others? Those who get the most out of networking, and who build the strongest business relationships, are those who are generous. Offer others your expertise or help before asking for something for yourself. If you help out others, by offering advice or giving a referral, you’ll be more likely to build long-lasting relationships. New Opportunities: Fortune.com states that “sometimes it’s individuals outside your immediate network that end up offering the advice you need to propel your career forward.” So remember, that even if you aren’t looking for a new career opportunity today, the investment in others that you are making today, could help you out tomorrow. Don’t spread yourself too thin when it comes to building these relationships and remember that authenticity is key. Join us at our next Magnet event for the opportunity to connect with talented, young professionals in the Madison area. Hope to see you there! I recently had lunch with two experienced professionals who are leaders in the Madison community. We happened to be discussing generational differences and one of them turned to me and said, “You’re a Millennial, no offense.” I smiled, nodded and said, “None taken!” I’m proud to be a young professional, a Millennial – why would I take offense? A Millennial is what I am! I’ve been thinking a lot about this concept of taking offense to being a Millennial. Should I have been offended? I really don’t think so. Being offended by the comment would mean that I believe that I fit the stereotype of my generation. A lazy, entitled, digital addict job-hopper. I’m not saying there aren’t young professionals that have these characteristics, but there are plenty more that break the stereotypical mold. Millennials should be embraced. Generational differences should be embraced. No one should have to take offense to being who they are (or who others think they are because of their age). When someone pegs you with a millennial myth, challenge them, tell them how you’re different and open their eyes to the great work being done by your, our generation. Never take offense. If you want to weigh in on this topic, you’re in luck! @YPWeekWI is hosting a Twitter Chat on Thursday, March 17 at 7:30 PM about Millennial Myth Busting – follow along and tell us what you think using #YPWeekChat. 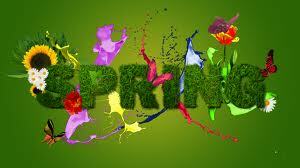 Spring Explodes in March and April for Magnet Members! On Thursday, March 3rd mingle with your Magnet friends and meet some new ones at Hamilton’s on the square from 4:30 to 6:30 PM. Hamilton’s will be closed to the public during our event, so this is a great way to experience all that Hamilton’s has to offer. On Tuesday, March 8th a few, lucky Magnet members will be energized as they have Lunch with a Leader at the Madison Club: Gary Wolter, Chairman, President and CEO of MG&E. Then on Wednesday, March 16th many Magnet Members will meet (is that enough M’sfor you?) at Hilldale for either: A) the Wisconsin Film Festival’s “First Look” event, where attendees upstairs at Sundance Cinemas ($40 ahead and $50 at the door) will enjoy some of the best food and drinks Hilldale has to offer and be the first to get their hands on the Festival Film Guide (before it’s published in Isthmus) and see movie trailers of the 150+ films, and buy Festival tickets before they go on sale to the general public. And B) at a special Meet & Eat for Magnet Members only at Café Hollander. On Friday, March 18th Magnet Members will take over the MABA Slap Shot Suite to shriek “Sieve!” (enough s’s?) at the MadCap opponent’s goalie, during the Madison Capitals’ game. On Tuesday, March 22nd Magnet members will try to work off some of the beer and food they’ve consumed all winter at MadPower Training Center in Fitchburg. And finally, don’t miss the volunteer opportunities, associated parties and the 150+ world-class films showing during the Wisconsin Film Festival! The Festival begins with a huge Opening Night Celebration and film(s) on Thursday, April 14th at the Barrymore Theatre on Atwood Avenue, with an after-party across the street at the Harmony Bar. Then the festival expands to include screens at the Madison Museum of Contemporary Art, on Friday, April 15th (a day when Madison schools are closed) for the Big Screens, Little Folks children’s series and 3 campus venues (Chazen Museum of Art, Cinematheque-4070 Vilas Hall and the Marquee Theatre in Union South), as well as 3-screens at Sundance Cinema’s in Hilldale! The whole Wisconsin Film Festival runs from April 14th through the 21st and includes talks by filmmakers and UW-Madison experts on some of the topics of the films and lots and lots of associated parties and events. Altogether, lot’s to do in March and April! So, mark your calendar and don’t be left out. We hope to see you at all or some of these events! Check out our events page to learn more. As we approach YPWeek, let’s be reminded that our city is full of talented young professionals! To catch up with one of Madison’s own talented YPs, Magnet Board Member, Jess Parker sits down with Megan Watt, Founder of Dream Catalyst Labs, to discuss entrepreneurship in Madison. Megan Watt is a highly sought after Facilitator, Speaker, and Career Coach. She speaks to audiences such as AT&T, American Family Insurance, University of Iowa, WARF, and Alpha Chi Omega, on the power of strengths and the power of connections in the pursuit of one’s dreams. 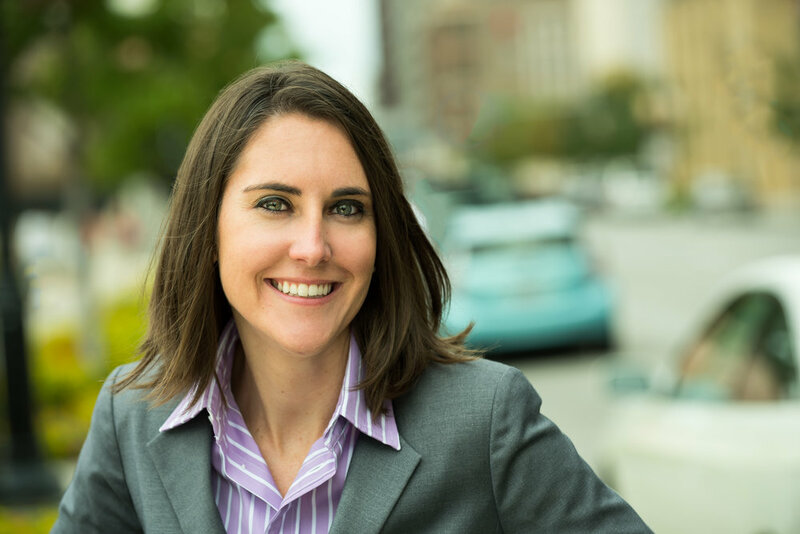 Megan currently serves as the Chief Dream Maker of Dream Catalyst Labs, based in Madison. Before starting her own company she taught Career and Leadership Development at three BigTen universities, and served as the VP of Innovation & Strategy for a local startup. In 2015, she was an Athena Young Professional Awards nominee. Megan is a lover of fun and random facts. A fun fact about her is that she’s ridden the world’s largest skateboard while working for ESPN’s X Games. Megan’s mission is to inspire others to dream big, and to tenaciously pursue those dreams daily. Learn more about Megan and Dream Catalyst Labs in the interview below. What is the mission of Dream Catalyst Labs? The mission of DCL is to empower and inspire individuals and organizations to identify and pursue their dreams through speaking, training, and coaching. We believe that when you have self-confidence, know your purpose, and leverage your strengths, you can achieve your someday goals, positively impact your community, and create lasting change. How was Dream Catalyst Labs born? DCL started with family and friends asking for help finding a job, reviewing a resume, or preparing for an upcoming interview. Dream Catalyst Creator, Ilsa May and I both participated in two years of training in Career Advising and teaching at Indiana University's Career Development Center. We realized that it’s not only new professionals who need career advice, but individuals of all ages and we sought a way to formally offer our knowledge and expertise to those in need of help fulfilling their personal, professional, and educational goals. What really motivated us to create and formalize Dream Catalyst Labs were our own career development experiences. Finding a dream job and doing what you love is attainable and we hope to empower and assist people to achieve their dream and/or dream job. We think of DCL as the catalyst to helping people achieve their dreams through speaking, coaching, and training. What resources in the Madison area have allowed you to embark on this journey as a business owner?Are there any under-utilized services that you feel other YPs should know about? There are two resources in Madison that have had the greatest impact on me and my journey as a business owner. First is the DreamBank. Personally, I believe it is the greatest thing in Madison and one of the coolest, most inspiring spaces in town (and this includes the Terrace). The DreamBank and one of its staff members, Chris Rudolph have been a part of my journey from higher education, to a local startup, to starting my own company. From the incredible programming and events to the AMAZING people I've met there, the DreamBank has provided me with the tools and skills to go after my dream, but most importantly a community of dreamers that support me. If you don't fit the criteria for UpStart I recommend the DreamBank, Small Business Development Center, and the Capital Entrepreneurs Resource page. What are some of your favorite ways to build your network locally? I participate in an entrepreneur book club through the DreamBank. Additionally, each week I try to make at least one new connection and set one follow-up meeting with a current connection. No matter my schedule I always try to meet as many people as possible, and FOLLOW UP! Also, I'm not afraid to ask for an introduction when needed, and I always try to make introductions for other people. At DCL we feel incredibly grateful that all of our business has come from networking and referrals; we’ve not done any outbound marketing to date. Where do you see the business in five years and what are your long-term goals for the company? Our future will be based on the needs of our clientele. As we grow alongside our clients, we want to continuously develop new offerings and expand our team to reach a broader range of clientele. This includes speaking at more conferences, hosting live events (including Brainstorm Gatherings, workshops, and retreats for organizations), creating online courses, and other digital resources. How did you decide to transition into self-employment and what advice to you have to other young professionals regarding entrepreneurship? I watched this clip of Oprah at Stanford for the first time mid-December 2014. At the time, I was wrestling with the idea of leaving the startup I was at, and what to do next with my life. I ended up watching the entire interview (see it here) and no joke... I decided then that I was going to go out on my own and start my company full time. Two days later this decision was confirmed when I was given an opportunity to help a friend for two months and earn $1000 (which was enough of a "cushion" that I could justify getting rid of any security and start being 100% responsible for my income). That was my next ‘right’ move. The DreamBank and my amazing, supportive partner/co-founder played a critical role in believing that I could do this full time; they were my dream catalyst. And in all reality, I have wanted to be a speaker since I was 15 years old. It just took a while for me to realize that it didn't have to be a daydream any more, and I could fearlessly chase my dream! To learn more about Dream Catalyst Labs, visit www.dreamgatalyst.org and stay in the know by signing up for for exclusive updates here. 2016 Bubbler Awards Highlights Wisconsin’s Best Places to Work for Young Professionals For the second year, YPWeek recognizes the Wisconsin companies that make it a priority to retain and engage their young talent through a dynamic workplace and Madison Magnet is requesting that young professionals submit their workplace for the 2016 Bubbler Awards. Nominations for the Bubbler Awards will be accepted through February 26, 2016. The following criteria will be taken into consideration by a juried panel that will evaluate what Millennials look for in an ideal workplace: competitive salary and benefits, opportunity for advancement, work-life balance and employee engagement. 2016’s Bubbler Awards winners will be announced on March 11, 2016. The Bubbler Awards is an example of how YPWeek Wisconsin highlights the young professional voice. Additionally, the nomination and selection process establish a framework for existing and emerging young professionals throughout the state to collaborate and brand Wisconsin as a workplace destination for Millennials. The Bubbler Awards Ceremony will take place in Appleton on Saturday, April 23, 2016 as the launch of the fifth annual YPWeek, hosted April 23 - 30, 2016. The Wisconsin Manufacturers & Commerce is a major sponsor of the 2016 Bubbler Awards. The Wisconsin Economic Development Corporation is a major sponsor of the 2016 YPWeek. YPWeek 2016 brings together key leaders in 15 communities, at purposefully chosen locations that integrate the unique cultural assets with meaningful learning or social interaction. The activities engage the millennial workforce in activities and experience that are important to them while educating employers on the important role these functions play in retaining their workforce. YPWeek 2016 includes the following communities: Door County, Fond du Lac, Fox Cities, Green Bay, Kenosha, La Crosse, Madison, Marshfield, Milwaukee, Oshkosh, Racine, Sheboygan, Stevens Point, Wausau and Wisconsin Rapids. Visit www.ypweek.com to learn more. By: Corinn Ploessl Ok, so I’m not “old” per say, but I am heading out…of the presidential role. It’s been an honor to serve as President of Magnet for the past two years. I’ve met TONS of great people, learned a lot about myself as a leader, and experienced many new and exciting things in Madison. I want to thank everyone who has been a member, friend, or partner of Magnet during my reign…I’ll plan to remain on the board for another year, but look forward to focusing my efforts on sustaining and building partnerships with you, our community. All that said, I’d like to take this opportunity to introduce our new executive committee! Please welcome incoming President, Stefan Fletcher! Stefan Fletcher is the Special Assistant to the Vice President for Administration at UW System Administration. He is originally from Watford, England and moved to the United States in 2004. Stefan holds both a PhD and a Law Degree from Michigan State University and served as the president of the graduate and professional student government there between 2010 and 2014. He is excited to work with fellow Magnet members to continue to expand the organization’s programming and outreach within the Greater Madison area. Board Member turned VP, Elizabeth Purcell! Elizabeth Purcell is a current member of the Magnet Board and will be assuming the role of Board Vice President. She is a Sconnie Native and an alumna of the University of Wisconsin- Madison. Elizabeth works in Marketing for Remington Products, a division of Spectrum Brands. She is also an active member of the Junior League of Madison. Elizabeth enjoys traveling, fitness, cooking and outdoor adventure. Congratulations to new Secretary, Jess Parker! Jess Parker is a current member of the Magnet Board and has recently been named as Secretary. A Madison resident for the past 5 years, Jess is originally from the Upper Peninsula of Michigan. She holds a Master of Spanish Literature from UW-Madison and is pursuing an MBA at Concordia University. Jess is Head of Recruitment and Business Development at Farmers Insurance in Verona and is passionate about community involvement, also serving as the President of the Verona Young Professionals. And in case you didn’t meet him when he became Treasurer earlier this year...Knoel Kambak! Knoel Kambak assumed the duties of Treasurer of Magnet in June of 2015. He originally joined Magnet about four years ago after relocating from Dallas, TX. Knoel is currently the audit manager at Meicher CPAs. He also serves on the board of directors of the Institute of Management Accountants – Madison Chapter. We are also happy to announce the addition of Kara Stucky to Magnet’s board of directors! She is will be a great addition to the leadership team and brings a creative, marketing flair. Kara Stucky is a Digital Marketing Account Manager at Kennedy Communications, an interactive advertising agency, and works as the liaison between clients and the digital team, managing day-to-day interactive projects and strategy. Prior to being in the advertising world, Kara worked in Finance at AMC Entertainment Holdings, Inc. and in Operations at Target Corp. When she's not at work, Kara enjoys home remodeling projects, cooking, spending time with family and friends, and hitting the slopes in Colorado. She is excited to join the Magnet Board because she believes in Magnet's mission: community involvement, professional development and getting to know other young professionals in the Madison area. By: Melissa Johnson We're almost to the new year, and we are already looking to 2016 planning. What are your goals for 2016? Do you want to get more involved? We'd love to talk to you about joining one of our committees - Marketing, Social, Professional Development, Membership, and Community Involvement. It's your chance to get involved and gain experience! Madison Magnet is a membership-based young professionals networking group in Madison, WI, and we focus on three main pillars: Community Involvement, Professional Development, and Social and Networking. 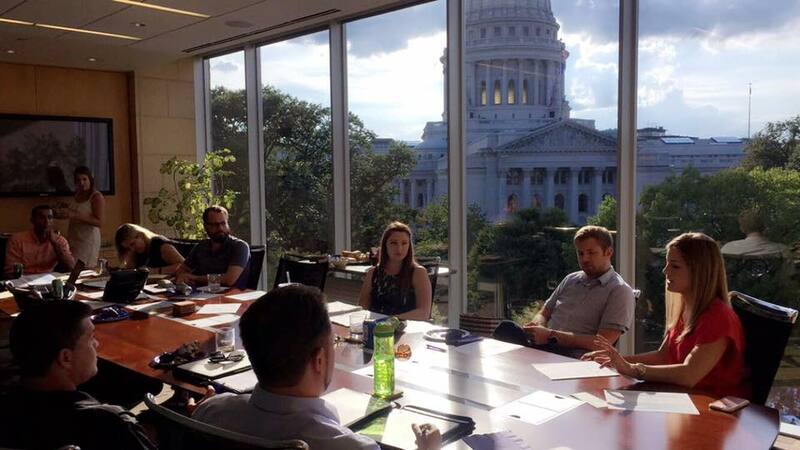 There are committees for each of these pillars that work to create events and membership value to connect, collaborate, and develop the talent in Madison. The Social Committee manages social and cultural events for Magnet, including our monthly networking happy hours, annual holiday party and more. The committee is constantly looking for opportunities to bring members and non-members together in new and fun ways. Examples of other events we have organized include a Madison Eats food tour, group workout classes and the annual Magnet golf outing. Interested in fine tuning your event management skills or just want to help foster our growing sense of community? The Social Committee may be for you. Please contact Jill Shiroma if you are interested. The Professional Development Committee is tasked with creating interactive and informative opportunities that are designed to educate and enhance the career goals and skills of Magnet members. Whatever your field or professional interests, you are sure to find events that are appealing and accelerate your professional success. Past events include: No Fear Networking; Productivity Workshop; and Magnetic: Exploring Entrepreneurism. We’d love to hear from you on programming or event ideas so we can continue to provide opportunities that our members want! Please contact Erin West if you are interested. The Community Involvement Committee coordinates volunteering and community outreach opportunities for Magnet members and friends. With the busy lives of young professionals, the activities facilitated by this committee are an easy way for get and stay more involved with the wider Madison community, which is near and dear to all of us. In addition to participating in community events, we would encourage you to get involved with the committee which meets monthly, to help plan and coordinate an event for an organization which is important to you. Please contact Zack Robbins if you are interested. The Marketing Committee is a group of young professionals that work together to create organization awareness, promote Magnet’s mission and values, and grow the membership base through value-based marketing messages. Each team member has a specific and accountable role such as email manager, social media manager, design lead, content manager, and more. We meet once a month for an hour to brainstorm, strategize, and execute on our campaigns. Please contact Melissa Johnson if you are interested. The Membership Committee focuses on all aspects of membership in effort to provide the most value for joining Magnet. We plan and host events to both educate prospective members, and welcome new members to Magnet. We collaborate with the Social Committee to plan exclusive, members-only events to further integrate our membership. Additionally, we work with community partners to secure member benefits. Our aim is to ensure all those who join Magnet are engaged and excited about being a part of our organization. Please contact Elizabeth Purcell if you are interested. We look forward to meeting you, and your contributions to the community. Here's to a great 2016! By: Knoel Kambak It’s December, which means the weather is getting noticeably colder, the daylight hours shorter and there is only a matter of weeks left to get your holiday shopping done. As I sit in my office at work spending countless hours online shopping for gifts for family and friends (note to employer: I am not spending countless hours online shopping for gifts) I realize that many rules of thumb that apply to effective holiday gift shopping also apply to success in one’s professional career. If something seems too good to be true, it probably is. As much as I want to believe that a $20 appliance can solve dozens of my kitchen quandaries and provide me with a year-round beach-worthy tan, it will likely fail in all respects. I’m sure somewhere along the line you had high hopes for something you bought or received as a gift, only to have it not live up to the manufacturer’s promises. The same thing can happen in your career. Ever sought out a new job before? A job change is ripe for this rule of thumb. Usually new job opportunities are presented in the most positive light, but you need to be realistic as to what the opportunity actually entails. You need to be skeptical about the details and realistic about your skill set. While the opportunity to become a C-level executive of a company with just a few years of experience under your belt sounds great, the realities of a real C-level position should tip you off that this may be too good to be true. There are also many aspects of your job performance you can improve and develop through feedback. Getting feedback on your work is typically part of your company’s processes (e.g. performance review from a supervisor) but getting feedback from clients and professional acquaintances should also be sought out, especially for feedback on presentations and “soft skills.” Many times the feedback you get from those outside of your company is different, and more useful, than internally. Plus it never hurts to have a wide variety of people providing opinions. Think of others. In deciding on gifts for others, it is difficult to fully remove one’s personal preferences from the final decision. As much as we consciously try to pick gifts that someone else will like, the decision process is filtered through our own set of values and preferences, whether consciously or not. One way to overcome this is become a good observer. Pay attention to what the person you are buying a gift for talks about and how they talk about different items. You can employ the point from the last paragraph and ask some of the person’s friends what he or she might want as a gift based on what they have observed. Or you just cut to the chase, and ask that person what they would want as a gift. Tell us about your 2015 Magnet experience! Magnet has had a great year as an organization and I want to personally thank all of our members & friends for their commitment to growing with us! As the end of 2015 approaches, it's a great time to take a moment to reflect on the opportunities that Magnet helped connect you to. Is there an event you think we absolutely need to repeat? Or possibly something you would like to see us plan for next year? Now's the time to make your voice heard! We're always looking for ways to improve our organization and would love your feedback. Take our survey to let us know if you would recommend Magnet to a friend! Each respondent will automatically be entered to win a $100 Amazon gift card! Thank you again to our members for supporting Magnet by attending events, submitting your ideas, and being part of our community. You are always our first priority and we hope you've enjoyed connecting & collaborating with us in 2015! By: Jennifer Walejko Madison Magnet’s annual holiday party is this week, and it’s time to start planning your outfit. Night at the Cinema will be a semiformal event so dress in your holiday best. Come clad as your favorite character from any holiday movie and be creative! The best-dressed guy and gal will win prizes. Below are a few ideas from some of the most famous holiday movies. Christmas Vacation: There are costume options for both guys and girls inspired by the Griswold family.And if you wanted to break out your holiday dickie, come dressed as Cousin Eddie. It’s a Wonderful Life The costumes from this heartwarming holiday classic will let you go back to the 1940s. Men can dress as George Bailey in a loosely fitted suit and women as Mary Hatch in a cocktail dress that is fitted at the waist. If you’re feeling naughty this holiday season, dress as the burglars Harry and Marv from Home Alone. Elf: Everyone’s favorite holiday movie can inspire you to bring out your inner elf. If you happen to have your elf costume handy, dress as Buddy the Elf or Jovie in her work attire. Quarterly Catch Up: Get up to Date on our Recent Events! Our networking, happy hours are always the highlight as we begin a new month. This past quarter we cheered on the Madison Mallards at our August social in the Duck Blind, we celebrated the end of summer at The Elks Lodge, and finally, sampled some German beer during Oktoberfest at Freiburg Gastropub – a new Monroe Street hot-spot! We hosted three additional events in October that kept our social calendars booked! We took a yellow school bus out to Botham Vineyards for a private tour & tasting. We worked off the wine and appetizers the following week during Sweatworking at Cyc Fitness. And finally, we encountered some mischief while trekking through the haunted forest at Schuster’s Playtime Farm. Another great members-only social event emerged this quarter – the Meet & Eat! Every other month, Magnet will host a dinner at a local restaurant where members can meet up for dinner, drinks and casual conversation. Community Involvement Tackling a tough topic in this quarter’s community involvement series, we aimed to shed some light on the issue of poverty in the Madison community. St. Vincent de Paul of Madison provided insight into the challenges faced by members of our community on a daily basis. We explored entrepreneurism at our “Magnetic” event during Forward Fest in August. We heard from local entrepreneurs (Justin Beck, Per Blue; Scott Resnick, Starting Block Madison; & Laura Gallagher, Creative Company) about their journey, their ups & downs, and received advice on our own start-up ideas. You’ve all heard that LinkedIn can be a great tool for YPs, but do you know how to write a KILLER LinkedIn profile?? Thanks to Brenda Bernstein’s presentation at our October event, we do! Nearly 200 of us packed into a lecture hall at the UW’s Psychology Building. Brenda gave us strategies for standing out among the LinkedIn crowd and how to add personality to our profiles. A special thanks to UW-Madison Graduate School for co-sponsoring the workshop! Lastly, our October book review taught us, The Hard Thing About Hard Things. Thank you to member, Brian Wulff for leading this discussion! We’ve drummed up some really cool partnerships this quarter with some of Madison’s best- known cultural organizations. 1. Overture Center of the Arts – Their new series, Arts Connect YP includes pre- and post-show parties designed for young professionals. Each is a specially planned themed-party with signature cocktails, appetizers and fun activities to go with each performance. The best part? It’s only $15 to attend! Keep an eye on our calendar for these not-to-miss events! 2. Madison Symphony Orchestra – A long-standing collaboration was refreshed this quarter with MSO and Club 201. Young professionals gather for amazing classical music in Overture Hall followed by exclusive after-hours parties at the Overture Center's Promenade Lounge (word on the street is there are free appetizers and 1 drink ticket included!). Fun, friendship, and networking combine for this amazing event. Again, stay tuned to our event calendar for more info! By: Corinn Ploessl VP, Dan Merfeld and I attended NEWaukee’s YPSummit on November 5-6. We were among friends at the Summit as many representatives were Wisconsin YPs we worked with earlier this year for YPWeek 2015. It was great to be back in the company of energetic and encouraging minds. The Summit was all about thinking outside the box – how can we approach our programming with a new spin? ; what benefits will truly excite our members? ; how can we create and leverage partnerships in our community? 1. Don’t be afraid to take a personal interest and turn it into an event, you may find that many others enjoy the same, weird things as you. Our friend from Appleton’s Pulse Young Professionals Network took her love of thrift store hunting and open market shopping and turned it into something called, The ARTery. She had several hundred people explore the goods at her inaugural event and has since hosted it twice more, expanding the number of artists and attendees each time. Prime example: NEWaukee hosts a Naked Ballet, no the dancers are not naked, but I bet that was your first thought. The ballet is “naked” because it is a stripped-down performance in an unassuming venue. No tickets, no seats, no stage – just a beautiful display of the combination of art and music. This one may be obvious to some, but I don’t think I’ve heard anyone put it in the terms I heard at the Summit. If you think about our generation, we ignore more traditional media – newspapers, TV/radio ads, print ads, heck, even email at this point! So, how do you engage a generation that ignores many of the messages that surround us? The answer is to give us an experience. The challenge is getting us to attend, but once we are at an event, the experience will sell itself. The experience is what will keep us coming back. I’m happy to say that our state, our cheese & beer loving state, is leading the charge for America’s next generation of leaders. Being in a room with these dynamic YPs from all corners of Wisconsin was inspiring and I, we, Magnet are looking forward to sharing and implementing what we learned. Are you Ready for Freakfest 2015? By: Zack Robbins Are you ready for Halloween and FREAKFEST?! I hope you were able to make it to Magnet’s “How to write a KILLER LinkedIn Profile” yesterday at the UW-Psychology Building. (We had to move it to a bigger room over in the UW-Psychology building because there was too much interests and we couldn’t fit everyone in the originally scheduled space!) In any case, please join us tonight for a little MISCHIEF at Schuster’s Farm. It’s going to be a blast… if you can handle it! And don’t forget our November Happy Hour at HopCat next week on Thursday the 5th. With great food and over 130 Beers on tap, you won’t want to miss that one. I hope to see you at one of these great events... even better, come in costume, so we know how to pick you on Halloween at FreakFest! The 10th Annual Halloween Bash with live music at three different outdoor stages, tons of CRAZY costumes and who knows what else. It has had a history of occasionally getting out of control… So, have fun, but stay safe! Saturday, October 31st (Duh, Halloween!) Gates open at 7p.m. Timeflies is headlining this year's event, with other performances by: Chase Rice, MisterWives, the Cadillac Three and more! Check out the full list HERE.